Casella demonstrates its commitment to reducing environmental risks with the new solar panel and battery power options available with the Guardian2 – the small form factor, multi-agent total environmental monitoring system. The Guardian2 makes capturing construction dust and noise data easier than ever before. It allows simultaneous monitoring and reporting of noise, dust and vibration levels, as well as wind speed and direction for measurement of site emission and environmental pollution levels. The latest solar panel and battery power options mean it is now suitable for monitoring on construction and demolition sites where no hardwired power is available. Through the web-based Casella 24/7 interface, the Guardian2 solution allows users to undertake PM10 monitoring and create automated reports/alerts in real-time direct to multiple users PC or mobile devices. The Guardian2 ensures data integrity, wherever in the world the system is located. The system is easy to install and once connected, all sensors within the Guardian2 are activated and data is automatically transmitted. The comprehensive reports assist in planning controls for noise and dust on construction sites, to improving environmental performance and helping reduce downtime from exceeding permitted limits. Image removed by sender. This small, lightweight solution is easy to transport and handle so its plug and play installation is simple and cost effective. The bespoke mHUB combines data-logging and telemetry capabilities, maximising data integrity and availability. In the event of a communication drop out, the mHUB eliminates the potential for data loss as it is continually storing data for later transmission. 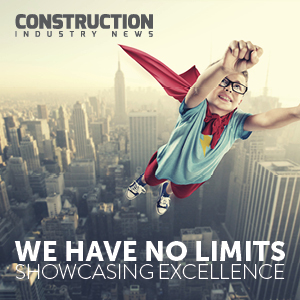 Since 2002 Construction Industry News has been focused on the very latest projects and developments within the UK and Ireland.